The United Nations agency dealing with Palestinian refugees said Thursday it would open its schools in the Middle East as scheduled this month despite a deficit caused by a U.S. funding cut. In a statement, the U.N. Relief and Works Agency for Palestine refugees (UNRWA) said half a million students will return to the 711 schools on time "because it is crucial to protect the fundamental right to education for Palestinian refugee girls and boys." There had been warnings from U.N. chief Antonio Guterres and others that the schools might not be able to open due to funding shortages provoked by US President Donald Trump's decision to withhold aid to the Palestinians. UNRWA said it had mobilized an additional $238 million since the start of the year, but added that it currently only had enough cash to keep its services operating through September. "We need a further $217 million to ensure that our schools not only open but can be run until the end of the year," the agency said in a statement. The schools are due to open over a staggered time period between Aug. 29 and Sept. 2. UNRWA has faced a $300 million freeze in funding from the U.S. as Trump demands changes to the agency and seeks to pressure the Palestinians to return to the negotiating table. Other countries have since provided additional contributions but UNRWA says it is not enough. The agency provides services to more than three million Palestinian refugees and their descendants across the Middle East and employs more than 20,000 people, the vast majority Palestinians. 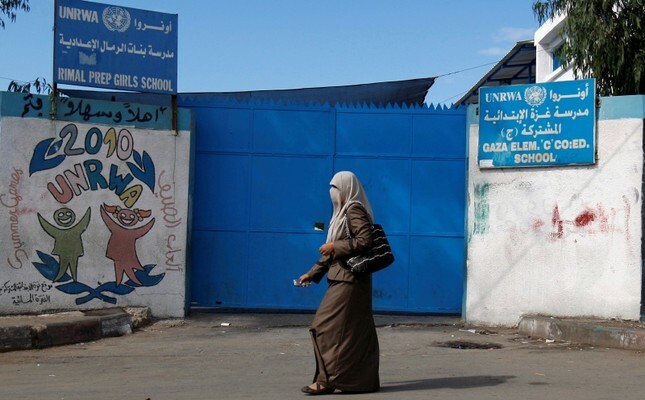 Last month, UNRWA announced it was cutting more than 250 jobs in the Palestinian territories due to the funding crisis. UNRWA was set up after the 1948 war that accompanied the creation of Israel, during which more than 700,000 Palestinians fled or were expelled from their homes. Israel argues the agency is biased against it and perpetuates the Israeli-Palestinian conflict. U.N. officials and others say that the agency provides vital services to the vulnerable communities under its mandate.